Do You Really Need Car Rental Insurance? 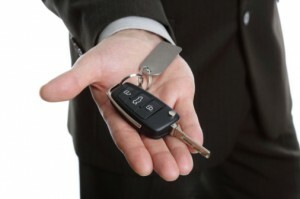 Home / Cars / Do You Really Need Car Rental Insurance? If you ever rented a car you probably know about car rental insurance. More formally known as the loss damage waiver, or LDW, it most typically covers the deductible portion of damage to the rental car not covered by your regular insurance, but it can cover even more. The coverage is completely optional, but car rental companies are typically pretty aggressive in their recommendation that you accept the coverage. If you have no car insurance at all, LDW will be worth the price. Of course, car rental insurance companies may not even rent you a car if you don’t have state recommended insurance coverage the first place. LDW can be expensive, and this is particularly true in renting economy cars. The cost can run from $10 per day (OK, $9.99) to $20 or even higher. If you are renting an economy car $149 special rate for seven days, adding even the lowest cost LDW will tack on an additional $70 for the week. This will be in addition to various other charges â€“ including tax â€“ that could raise the cost of your $149 special to something closer to $300 for the week. The arrangement suddenly looks far less like a bargain than the deal that brought you in the door. The â€œlowâ€ daily rental charge of just over $20 is now up to over $40 per day, with half the difference going to LDW. If you don’t pay careful attention, or aren’t fully aware of how LDW works, you may get the idea that if you don’t accept coverage you’ll be completely on the hook for any damage or loss on the rental car. This actually isn’t true. Your personal auto insurance policy probably covers car rentals as well. My insurance company fully covers the car rental so long as the rented vehicle is an equal or lower class car to the one that I have insured. Since I typically rent economy cars, this is never a problem. The rental car is covered under the same terms that my regular vehicle is. Since the policy has a $500 deductible for my own car, it doesn’t need to be any lower for the rental car either. Maximum exposure on the rental car then is just $500 â€“ same as my own car. Since I don’t pay the expense of having a zero deductible policy for my regular car, I have no interest in paying extra to eliminate my deductible on a rental car either. Before you assume that your regular auto insurance policy will cover your rental, first call and verify that you have the proper coverage. In some policies it may be part of the package, but on others it may be an added feature. Another major factor is collision insurance. In order to save money on car insurance it’s common for drivers to drop their collision coverage once their car reaches a certain age. While that may save money on your car insurance, it will leave you unprotected with a car rental. Unlike the eight or 10-year-old car you own and no longer needs collision coverage, rental cars are typically under two years old and the cost of replacement is high. If you drop your collision coverage you will want to take full advantage of the LDW option. If you are a frequent car renter, you may even want to reconsider dropping your collision coverage. Until a few years ago most credit cards offered this coverage free of charge to induce people to use their card, but times of changed. Today, some credit cards offer it as long as the rental is charged on that card, but many have dropped it. Just as is the case with your own auto insurance, be sure to verify that you actually have this coverage from your credit card. Some cards continue to offer it as an automatic benefit, some may offer it as an optional service for fee, and others may not have it all. Be certain of where you are with this coverage from your credit card, and never assume that you have it. You have a deductible with your regular car insurance that you will cover out of your own funds. You can do the same with a car rental. If the car rental company charges $15 per day for LDW, or $105 for a week, and you have a $500 deductible on your car insurance policy, the LDW is not really saving you from your $500 deductible. It’s really saving you only $395, since you had to pay $105 to get it. In reality, you are probably no more at risk for having an accident while driving a rental car than you would be with your own car. In fact it may be even less likely with a rental car, since you are unfamiliar with it and will naturally tend to be more cautious. If you want zero liability, then paying $15 a day for the LDW may be worth it. But it seems like a lot of money to pay to avoid incurring a $500 deductible that you are fully prepared to pay on your own car. Do you normally take the LDW option when you rent a car? Leave a comment and let us know! 2 Responses to Do You Really Need Car Rental Insurance? Hi Tom, that’s why it’s so important to check with your insurance company or credit card company to make sure of the exact coverage they provide. You failed to mention the “loss” part. This is where the rental company can charge for their ability to use the vehicle while it is being repaired. This may, or may not be covered by either personal or credit card backed insurance.